Buy Malt in Bulk & Save! Buy Hops in Bulk & Save! Buy Yeast in Bulk & Save! Why Choose Get Er Brewed Homebrew Supplies? Homebrewing isn’t just about saving money and being frugal, it’s now possible to brew you own beer, cider and wine at home which is far better then shop bought and at a fraction of the price. Homebrewing is a very rewarding and satisfying hobby and you can buy homebrew kits that can be made in approximately half an hour or you can brew beer from scratch using only water, malt, hops and yeast. This will take approximately 5 hours. Some people choose to make their own beer, cider or wine because they know what’s going into it as many commercially brewed alcoholic products have many chemicals and additives. When you brew at home, you control the contents. The hobby of brewing usually leads to an activity that can be enjoyed with friends and many people regard a ‘brew day’ as a social event, sharing their brews, creating new recipes and pairing it all with good food and some laughs. Personally, we find brewing therapeutic and starting to brew you own is not as expensive as you would think. Giving out homebrew gifts is an amazing way to add a personal touch to a gift, we have brewed wine for our friends’ wedding, we have made wine to give out at Christmas for gifts and we love to share our beer brewing experiments with friends for constructive feedback. Brewing can be as simple or complicated as you want to make it, we have brewing equipment for all budgets and levels of experience and we have the in house knowledge to help you brew successfully and consistently. We believe that anyone can homebrew. If you need help, just reach out, we are very passionate about brewing and love to help. A top quality home brewed beer, cider or wine will bring a smile to your face and make you very proud you created it. We started a homebrew revolution 5 years ago and we take great pride in helping you brew exciting beers, ciders and wines. Will My Homebrew Be Any Good? Absolutely, we can help you brew beers, ciders and wines that will not only excite but deliver consistently impressive results. 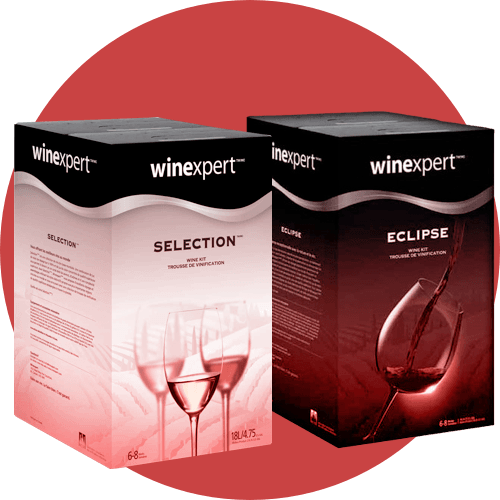 Modern day wine kits are truly impressive in terms of quality and the finished wine is very cheap to make in comparison to supermarket or shop bought lines. Cider kits will create some really enjoyable ciders with real ease. Beer making can be easy or as complicated as you feel comfortable with. 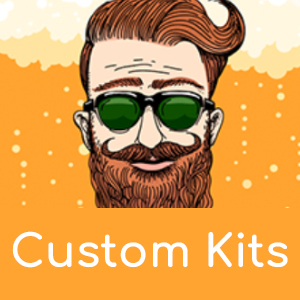 If you’re just starting out, try then one of of our customised beer kits that will allow you to experiment and design beer suited to your tastes. When you’re ready, you can treat yourself to an all in one brewing system such as a Grainfather or Speidel for the ultimate craft beer experience. What Type of Beers Can I Brew? You can brew any style of beer at home, from lagers to ales and even the complex Belgian beer styles that are enjoyed by the most discerning beer drinkers. There are essentially three levels of beer making. 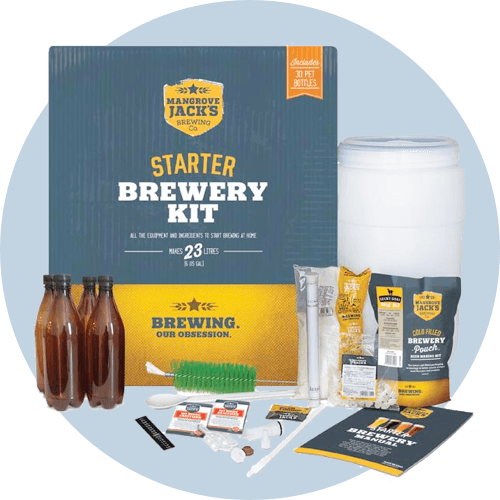 Beer Kits: The simplest option for making your own beer, brewed quickly and easily with great results. It is cheap to get started and allows you to experiment with the hobby of brewing without a lot of experience or outlay. 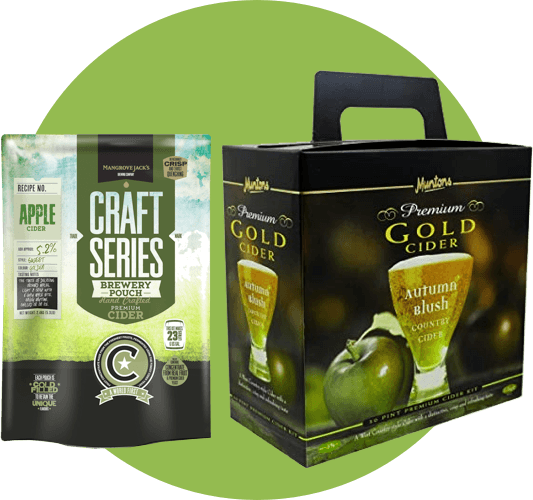 Extract Beer Kits: This is a stepping stone to all grain brewing. You will use liquid malt extract, some steeping grains and hop additions. You boiled the wort and add hops to create hop bitterness, flavours and aromas. All Grain Brewing: You can start at this level easily with a BIAB Starter Kit (Brew In A Bag) or buy yourself an all in one brewing system, Get Er Brewed recommend the Grainfather. You brew with four key ingredients in the all grain method, water, malt, hops and yeast. The Geterbrewed staff all brew their own and are happy to help you. Any Questions or Need Some Help? At Get Er Brewed, beginner friendly customer service comes first. Our staff are trained in all aspects of homebrew and are always ready to answer your questions. Get Er Brewed can help brewers of all levels of experience, we can supply brewing ingredients and brewing equipment from Hedgerow brewing right through to commercial breweries. Get Er Brewed have installed several breweries throughout Ireland and the UK, we have installed brewpub options and helped at every stage of the process. 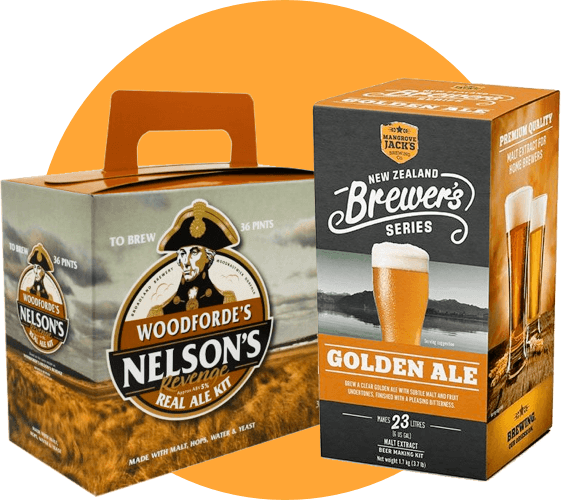 Get Er Brewed own their own brewery and distillery and have staff with extensive brewing knowledge, we have a team of brewers with degrees in brewing and distilling and we have first hand experience with the whole brewing process.